In October of 2004 Shifu Shi Yan Ming made history by opening the Mexico Shaolin Temple. 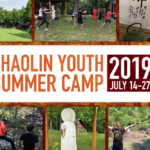 Since its founding it has done remarkably well in spreading Shaolin Chan Buddhism. 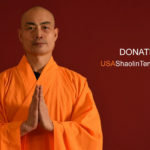 To promote and strengthen the connection between the USA Shaolin Temple in NYC and the USA Shaolin Temple branch in Mexico, Shifu Shi Yan Ming sent his disciple Shi Heng Yi to Mexico to help his gong fu brother. The trip lasted for exactly a week. Heng Yi arrived in Mexico the morning of July 4th. He was greeted by His brother, Shi Heng Yi, at the airport and the two quickly made their way to Cuernavaca, where the temple is located. A scenic drive through the countryside culminated with the arrival at the Mexico Temple itself. The students had prepared in advance for Heng Yi’s arrival and welcome signs were displayed prominently. After class had ended for the night a feast comprised of local Cuernavacan dishes was prepared in Heng Yi’s honor. 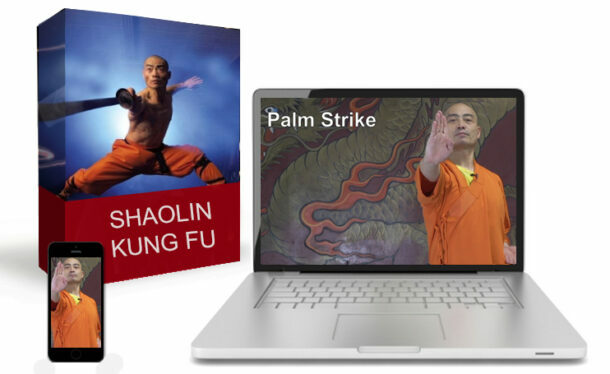 Following the meal Yi gave an in depth lecture of Shaolin history and Buddhist philosophy. For the rest of the week the main focus was on training. 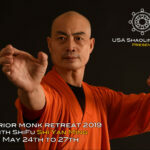 The main focus of this trip was to review what everyone had learned at the two seminars given by Shifu the previous October. Many people had come from far away to review what they had already learned, as well as learn new things. One man traveled from 6 hours away and many others traveled from Mexico City, one of these visitors even owned his own gong fu school there. During the day, when they were not training, the locals took Heng Yi to many popular tourist areas. Some sites seen include an ancient Aztec pyramid, an old mystical town surrounded by mountains, a large natural cavern, a river and the town of Taxco which is famous for its silver products. The last day of class was an emotional one. After class the students again prepared food to thank Heng Yi for coming to Mexico to train them. Several of the temples youngest students even went as far as bringing their electric piano so they could play a few songs for Yi. The language barrier meant nothing anymore because Yi was left speechless by their hospitality and kindness. 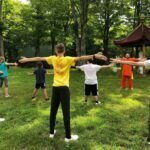 The compassion they showed to someone they had never met before whom lives in an entirely different country from different social background shows that the message of Shaolin Chan Buddhism is truly universal. 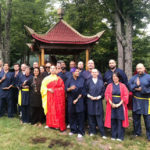 Following the success of Heng Yi’s trip, Heng Yi in Mexico hasexpressed his desire to invite more of his gong fu brothers from New York and around the world to come to Mexico to help spread the dharma.